An Israeli Arab man was beaten by an angry crowd who mistook him for a terrorist amid an attack on a market in Petah Tikva, not far from Tel Aviv. The man was shouting in Arabic in an attempt to warn people during the attack. Maed Amar was one of six people injured during a shooting and stabbing attack in Petah Tikva on Thursday, although in his case it was not by the perpetrator. 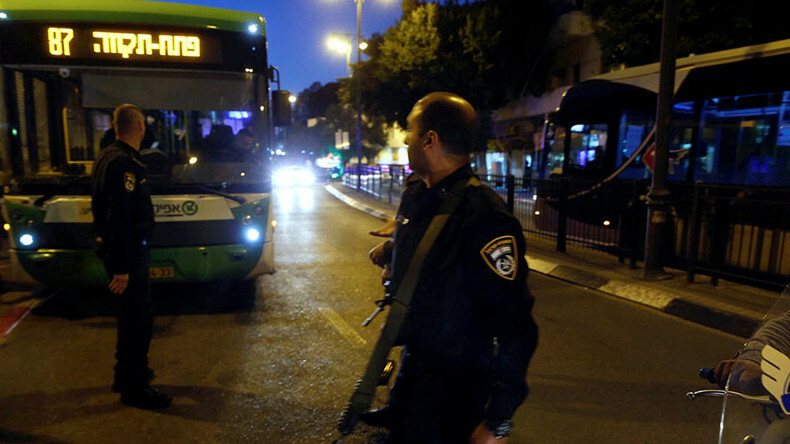 The 35-year-old from Kfar Qasim city, reportedly a market worker, was finishing his shopping when the attack happened. He yelled, “watch out, watch out, take cover” in Arabic as he heard gunshots. In a video from the site of the attack he is seen lying on the ground, while one passersby is reportedly heard saying “kill him.” The police managed to pull the group away from Amar. The crowd started pummeling Amar, shouting “there's another terrorist here.” According to Amar, despite his attempts to explain and show his identity card, people continued to hit him, still thinking he was connected with the shooter. “I tried to help, but instead of being grateful they attacked me,” Jerusalem Online quotes him as saying in an interview with Channel 2 News. Police detained the gunman in the attack on the busy marketplace, 18-year-old Sadiq Nasser Abu Mazen, after he was caught by locals at the site. Israel is continuing the construction of settler homes in the West Bank, despite the UN considering them illegal under existing agreements. Construction of around 4,000 housing units was approved by the Israeli parliament on February 7, in addition to 5,500 announced in the past two weeks. Attacks by Palestinians against Jews have flared up in the past 15 months, leading to more than 260 fatalities, with 37 Israelis and two visiting Americans among them.